We are lucky enough to have our own kitchens in school where healthy, nutritious food is freshly cooked each day. Children can choose from a variety of cooked meals or a choice of sandwich, followed by a choice of dessert. 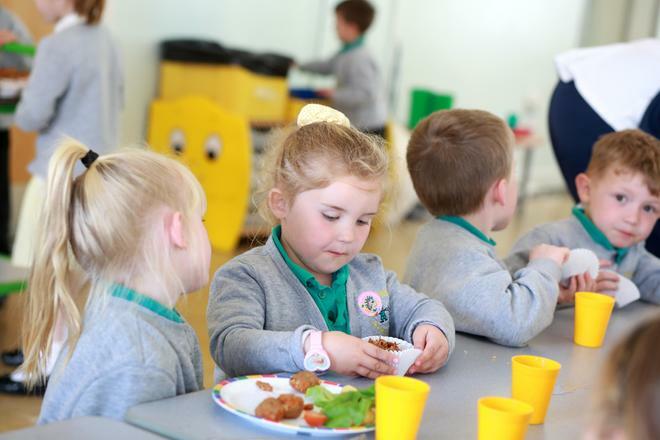 Menus are sent home each term and parents can make the choice with younger children. 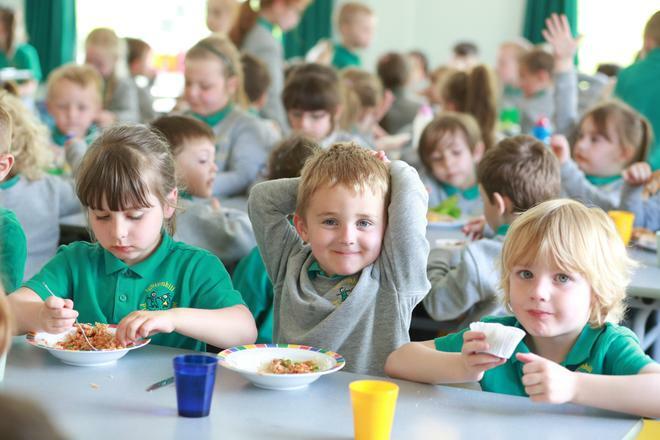 All KS1 children are automatically provided with a free school lunch through the 'Universal Free School Meal scheme'. If parents are entitled to free school meals, because the family are in receipt of certain benefits, children will still make choices from the menus. KS2 school dinners cost £11.00 per week (£2.20 per day) and this is payable each Monday, in advance. Alternatively, children may bring a packed lunch in a named lunch box.